The holidays have finally arrived and I am so excited for the next couple of weeks. Why? Well simply because I won't have to wake up at 7am every morning for school. Instead, I have planned a whole 2 weeks of lounging around and doing whatever I feel like! I just finished making these pants yesterday and they are by far the most comfortable piece of clothing I own. 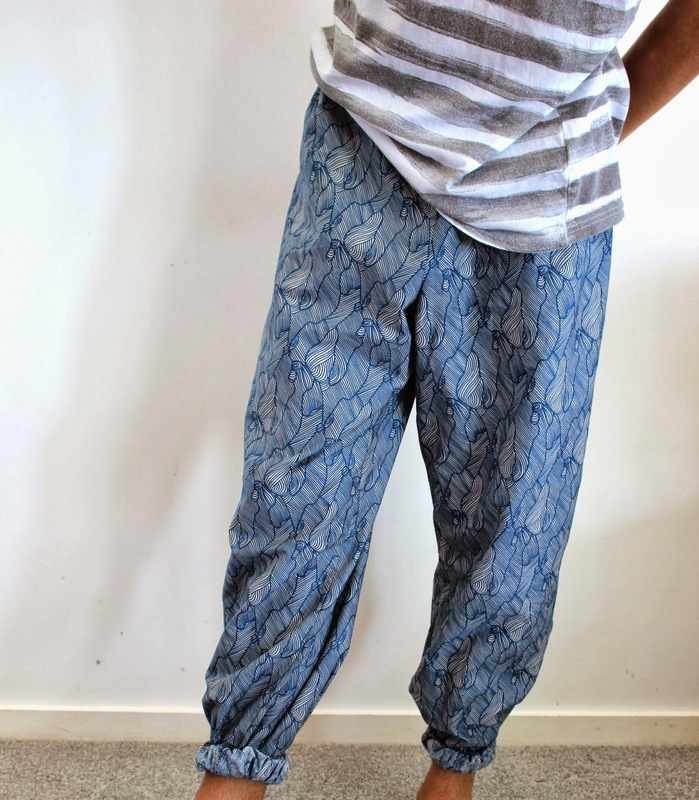 I wanted a pair of long pants that were casual enough to just relax around the house in, yet appropriate to wear out when paired with dressy garments/accessories. My inspiration for these pants were from a picture I saw on tumblr that had a pimp look to it.